Do I need to pay in advance for classes or can I just pay when I attend class? YES, we need you to go ahead and pay at least A WEEK IN ADVANCE so we can get the kits ready or food ordered (depending on the class). Also some of our teachers live 30 minutes + from the store so if just 1 or 2 people sign up unfortunately we would need to reschedule the class to have more attendees. Believe it or not, but many times people that have signed up and haven't paid just don't show up on class day. How long does it take to repair my Sewing and/or Embroidery Machine? We like to say usually around 5-10 Business days but it usually doesn't take this long. If parts need to be ordered or its a special kind of machine we sometimes get outside help to come in it may take a bit longer. We are Authorized Warranty Service Center for Brother, Juki, and HandiQuilter Machines ONLY! Do you teach classes on how to use my machine? Yes we do. 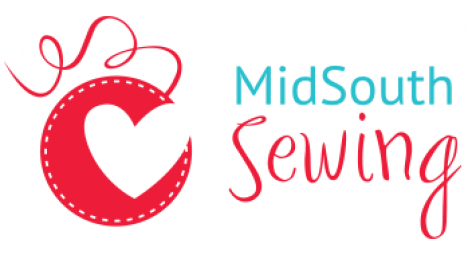 Any machine purchased from one of the two MidSouth Sewing Center stores receive a free 1 on 1 class on the sewing part and a free 1 on 1 class on the embroidery part (depending on what type of machine)! If you need a little more help after your free classes we are always here for you. If you did not purchase from us please call us for pricing! Do you repair Vacuum's and Steam Cleaners? We repair most all makes and models of Vacuum Cleaners in the Murfreesboro Store Location. We are an Authorized Warranty Center for Miele Vacuums ONLY in both stores! We work on Vacuum Cleaners in Murfreesboro, Tuesday - Friday and it is usually a 3-5 day turnaround time unless we need to order parts.